Zahedidarkhaneh, F., Saniee, T. (2014). Valuation of Factors Affecting Weaknesses Insufficiency of the Legal Rules Tourism in Iran. International Journal of Advanced Biological and Biomedical Research, 2(Issue 4 (2)), 452-457. Farzaneh Zahedidarkhaneh; Taraneh Saniee. "Valuation of Factors Affecting Weaknesses Insufficiency of the Legal Rules Tourism in Iran". 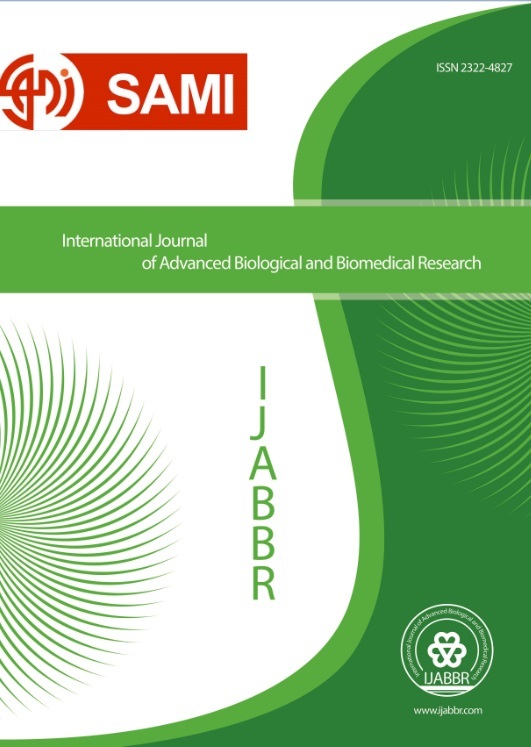 International Journal of Advanced Biological and Biomedical Research, 2, Issue 4 (2), 2014, 452-457. Zahedidarkhaneh, F., Saniee, T. (2014). 'Valuation of Factors Affecting Weaknesses Insufficiency of the Legal Rules Tourism in Iran', International Journal of Advanced Biological and Biomedical Research, 2(Issue 4 (2)), pp. 452-457. Zahedidarkhaneh, F., Saniee, T. Valuation of Factors Affecting Weaknesses Insufficiency of the Legal Rules Tourism in Iran. International Journal of Advanced Biological and Biomedical Research, 2014; 2(Issue 4 (2)): 452-457. Tourism industry is emerging as a new era, one of the main pillars of the economy, the business world. Many planners and policy makers in the development of the tourism industry as the main pillars of sustainable development are mentioned. In this direction, this research inspired by these changes and therefore Social indicators such as social capital, Sense of place, and so on programming using survey techniques And documentary studies and tools SWOT model quantitative and analytical approach but according to research, Customer has a shortcoming that needs to be revised and improved. These flaws are influenced by many factors come into existence This paper is concerned with the discovery of these factors and to measure their effectiveness Because of their final grade was determined by both the matrix is less than average results show that the average level was determined The management structure factors, the most effect on the tourism laws of failure, and then the content of the law enforcement agents are most effective. Therefore, if adopted and implemented strategies, especially efforts to achieve integrated management of tourism Laws can be achieved good results.